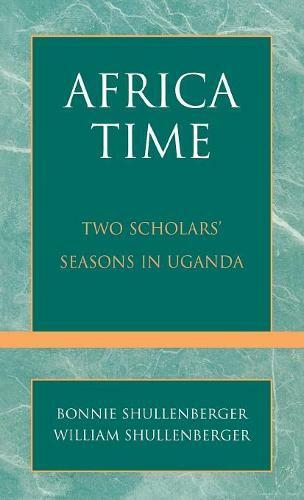 Africa Time depicts the experiences and observations of two scholars who spent two years teaching at Makerere University in Uganda from a literary, religious and political point of view. It assesses the cultural, political, and educational prospects of contemporary Uganda, often challenging the preconceptions of typical western thought in regard to the future of Africa. It exposes the resilience, resourcefulness, and hospitality of Uganda's people as they recover from a tragic postcolonial history and shows the growing strength of the family, churches, and markets in response to the turnaround taking place. Most prominently, the authors show the deepening awareness of cultural complexity as time exposes their assumptions and political attitudes associated with the African people through very personal observations and responses. Other topics covered include conditions of learning and life at the university; the roles, expectations, and education of women; "tribalism" African- and American-style; the politics of language and the language of politics; the complex riches of hospitality codes and the delicate boundaries and networks of intercultural friendships; the natural and human ecology of Africa's wildlife preserves; American literature in Ugandan context; and the critical and prophetic role of African writing.